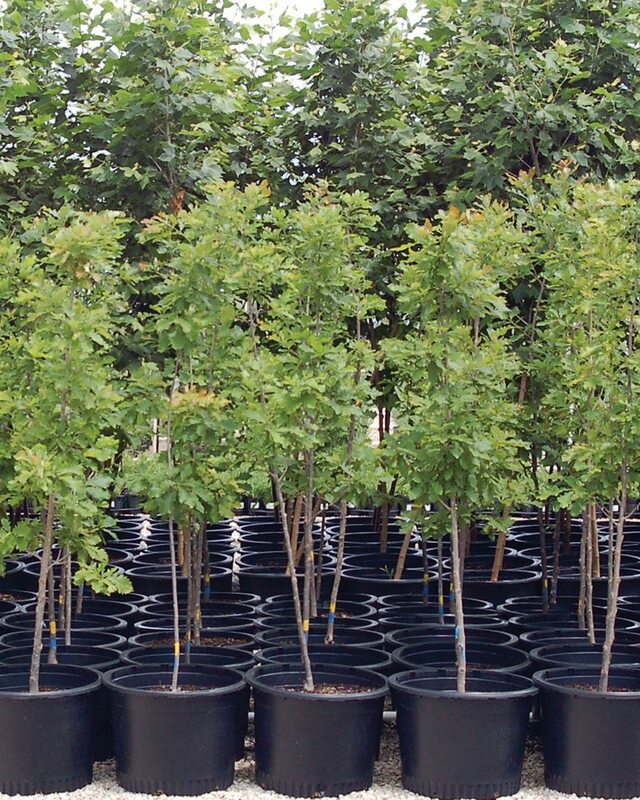 It is sad but true that almost all trees for sale in garden centers are too deep in the containers. In most cases, they are far too deep. This is a flaw in the planting and harvesting operations that happen at the tree farms where the trees are purchased by the nurseries. Sometimes it's just sloppy work because of workers going too fast without the proper guidance and attention to detail. It also happens on purpose as dictated by the owners and managers. Many landscape folks and homeowners think trees should have perfectly straight trunks. Setting small trees deeply in the potting soil causes them to grow straight up. But this unhealthy growth does not create the best trees long-term.